If there was one company who could do no wrong during the whole E3 week, that would be Bethesda Studios. The teasers leading to the E3 showcase of the latest Fallout title has the gaming community in an uproar regardless of their chosen platform. 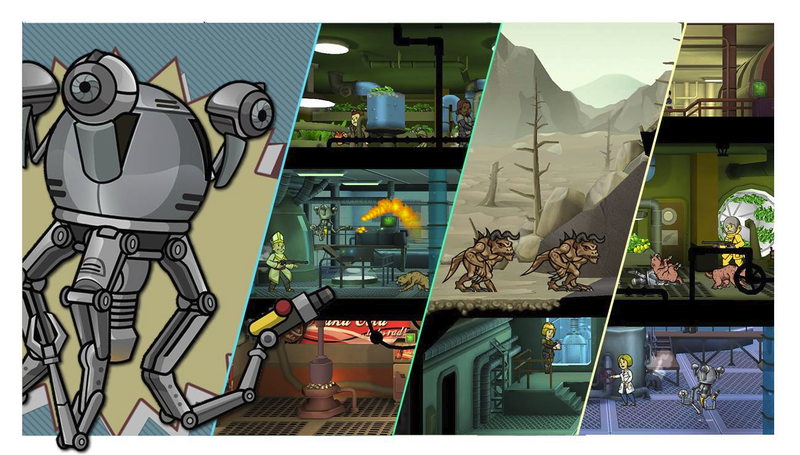 And as if to add more to the already sweet, sweet cake that is Fallout 4, we now have a Fallout mobile title to sink our teeth in, Fallout: Shelter. 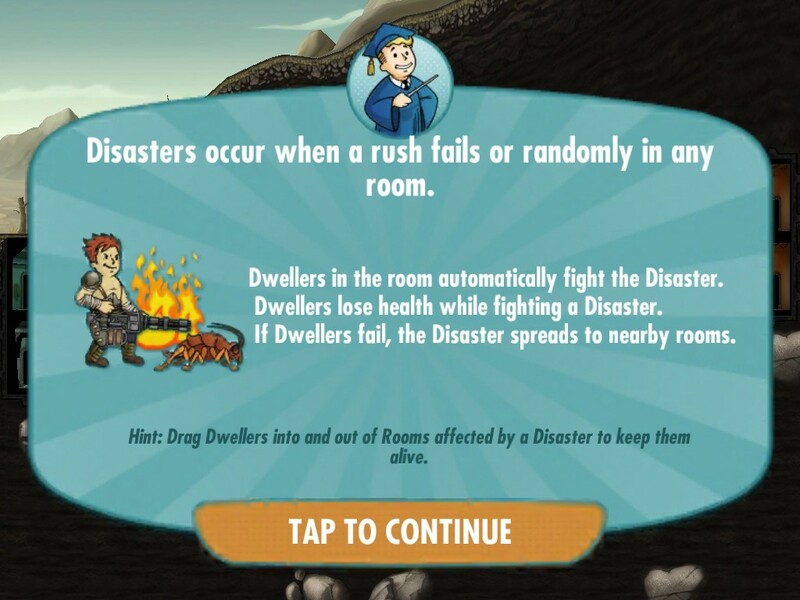 Fallout Shelter, is a resource management game for the mobile. 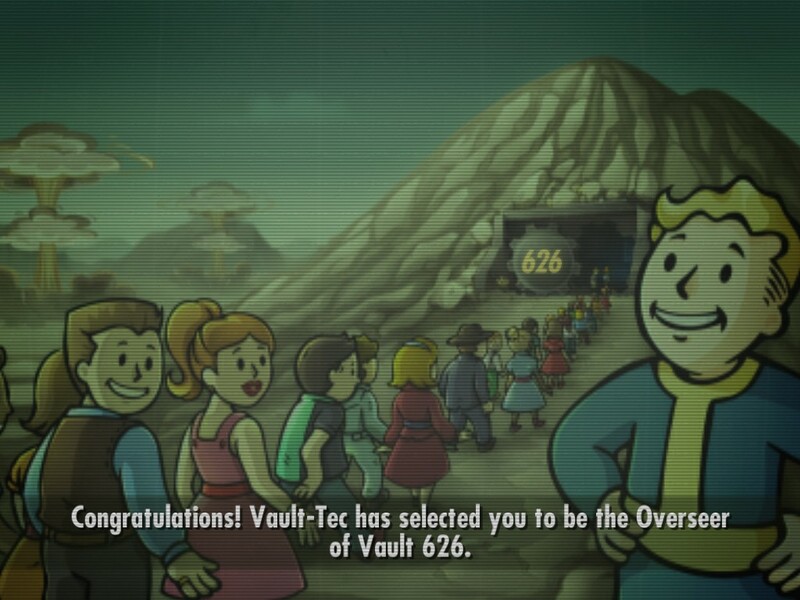 You are put into the shoes of the venerated (or hated, depending on how you look at the setup) Vault Overseer in one of the numerous Vaults created by Vault-tech. 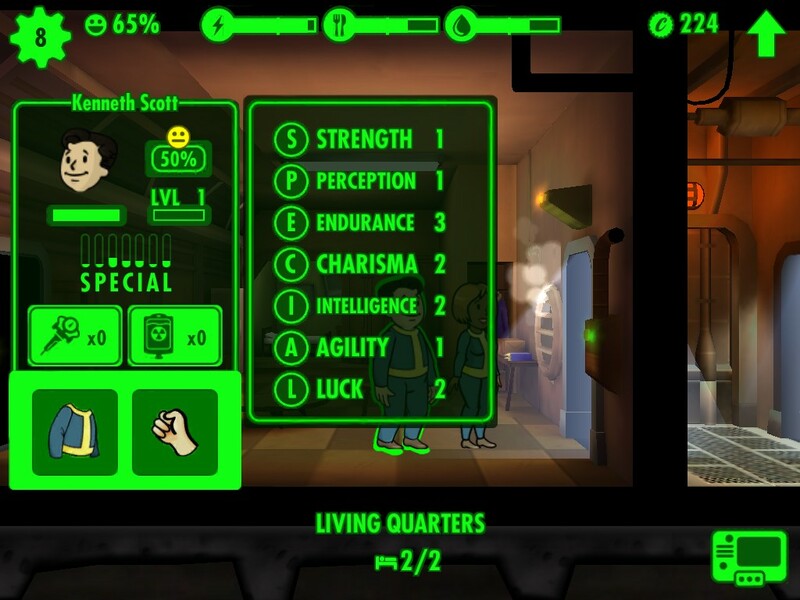 Each individual entering your vault has a set of stats that create the word SPECIAL. S stands for power, P for perception, E, endurance, C, charisma, I, intelligence, A, agility and L, for luck. Dweller stats influence the amount of resource output the room generates for a duration, with Luck mainly providing the random multiplier of the resource output. 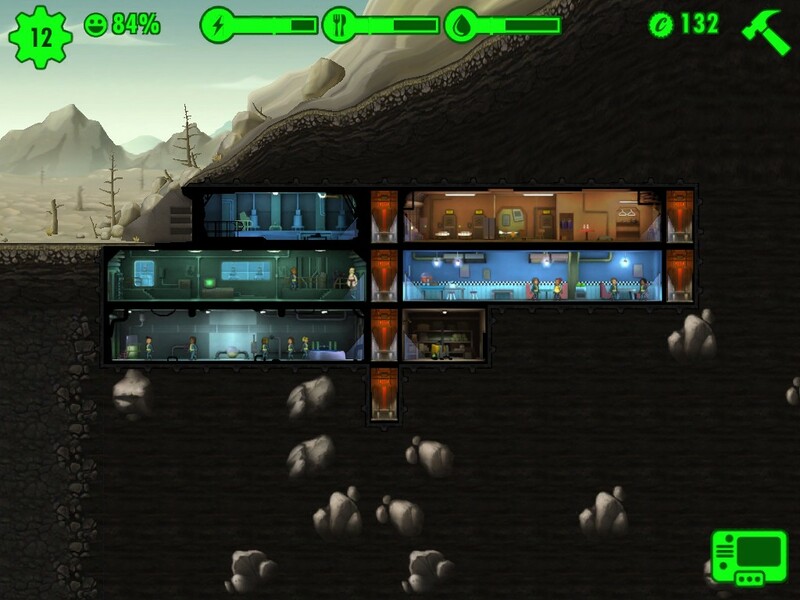 I’ve already let slip that a happy dweller is a productive dweller. But, happiness is not just tied to productivity. 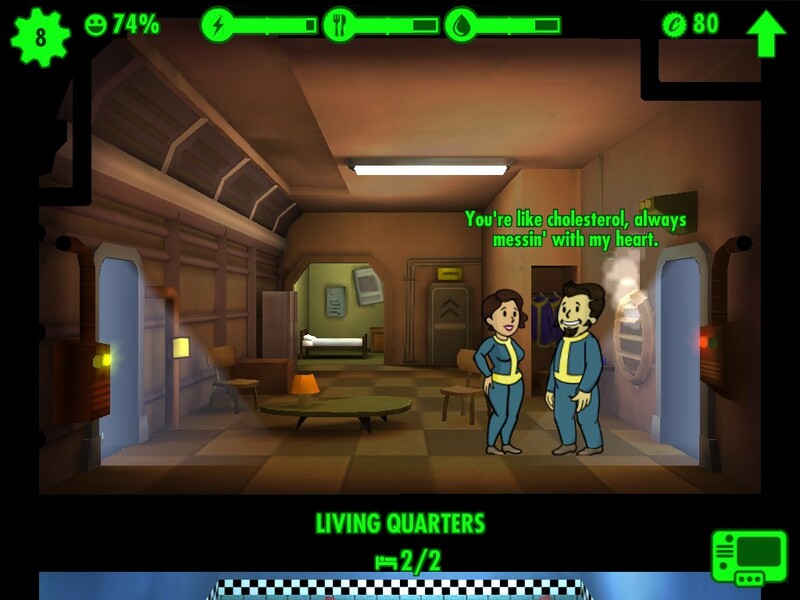 You will be marked at the end of each day on your progress as overseer, and depending on your overall happiness rating, you will be given bonuses for making your dwellers such happy campers. Fallout: Shelter also allows you to send out your dwellers to scrounge up items and equipment that your dwellers will really need as you progress through the game. To keep things interesting, these assignments can level these dwellers up, providing better bonuses on whatever work you assign them at. 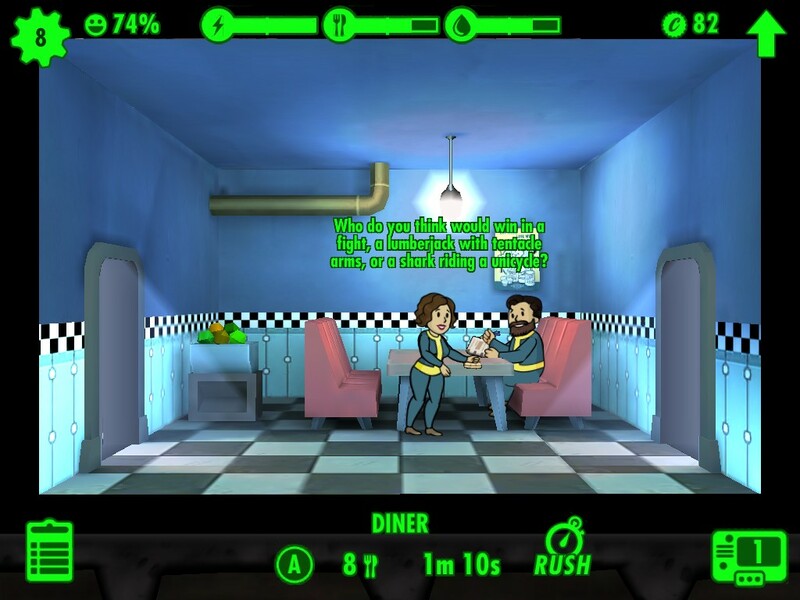 The whole room creation aspect of Fallout Shelter is more of a customizable version of how another mobile game, Tiny Tower, does it. You create various rooms within your workable space, and as you put people in, you get resources per room. The big difference between Tiny Tower and FO Shelter is that you are restricted to just creating rooms vertically in Tiny Tower, whereas in FO Shelter, you can create rooms horizontally or in a vertical manner as long as you are working within the borders of the mountain you are in. Also, FO Shelter allows you to connect the same rooms in a horizontal manner. For example, you can create three of four consecutive power rooms in a line, and the game will then link them together to create just one room with a higher power output. You can do this to all the rooms you create in FO Shelter which drastically affects how you plan out your vault schematic. Another tactical consideration you have to consider are the random encounters that you’ll be facing as vault overseer. 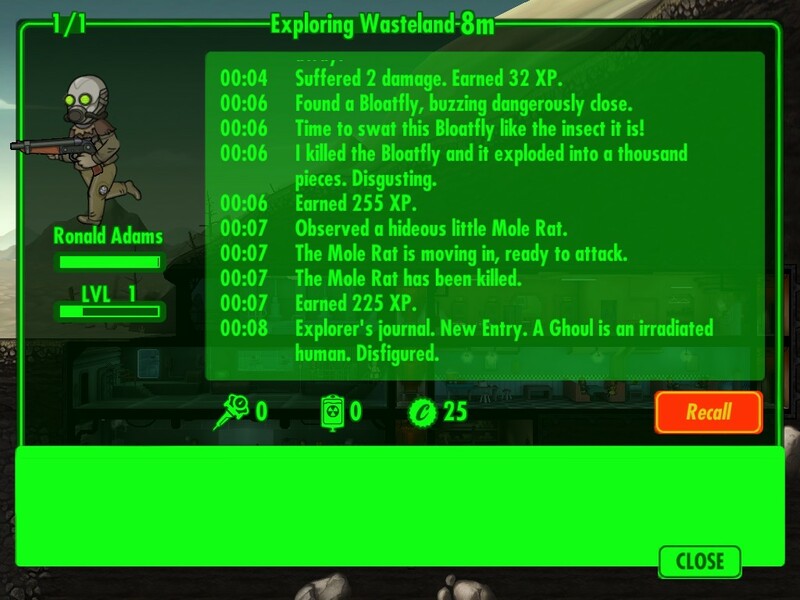 The game throws in Radroach infestations in your various rooms which your dwellers can kill either by using their fist or an equipped weapon. Another encounter you’ll be experiencing is the random room fires that need extinguishing. The last encounter you’ll be experiencing are raider attacks. The room centric random encounters need to be dealt with as soon as you can since they will also affect the other rooms within your vault, whereas raider attacks would mean that they will be stealing your hard earned resources. All encounters are lethal to your dwellers so equipping them with weapons and armor is integral as you continue on with your task as Vault Overseer. 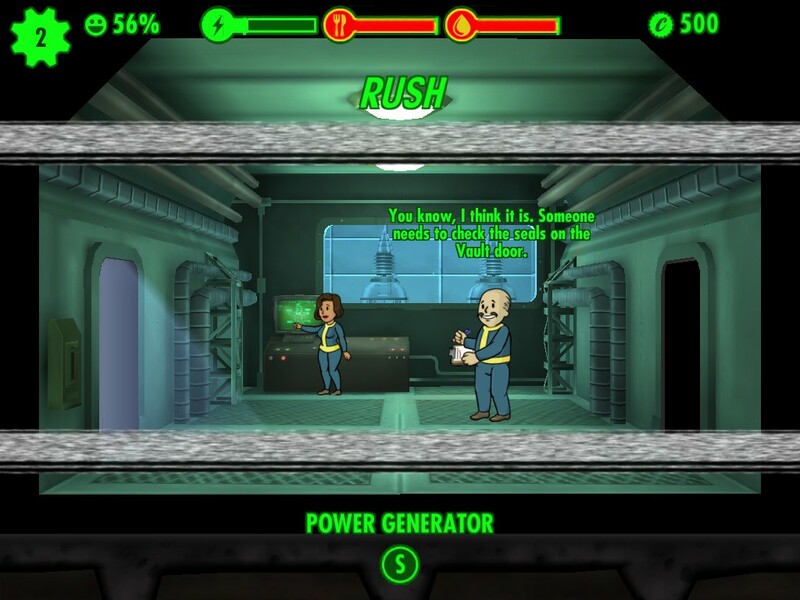 Yeah, you read that right, as vault overseer you can influence people to get together within the vault to create the next generation of vault dweller as one of its features. While the whole baby creation process in FO Shelter is really simple, you’ll rely mostly on this as it offers the a higher probable chance of getting better stats out of characters instead of relying on the random individuals your radio station will bring in. I have to be frank but, I think that Fallout Shelter is an overhyped title where the game just mostly mashes the Tiny Tower gameplay with the Sims. The game just clung on the coattail of Fallout 4’s mass appeal which explains the hype it had earned during the E3 week. I must admit though, I did like how the game puts a more insider look at how the dwellers lived and interacted with one another outside of the Fallout titles. But, they are not enough to keep my attention glued to the game since after the first day of playing, you’ll only have to sporadically play the game in short bursts. The lack of any other things you can do in game is what kind of kills the whole FO Shelter experience. Unless you are a goodness to gracious fan of the series, I doubt you’ll have the urge to put up with it for long. That said, FO Shelter does well what it sets out to do, whether you’re a fan of the series or have no idea what Fallout is. There’s few alternatives in this niche mobile genre that compare. I loved that this game added more to the whole Fallout mythos without relying too much on what made the PC/console such a hit, and it’s a gem on its own right. With that said though, I would still highly suggest this game to anyone who’s looking for a game that doesn’t take too much of their time (at the start) but is engaging enough to check on once or twice a day.